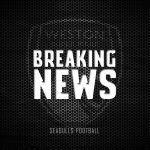 Super sub Jamie Lucas stepped off of the bench to score two vital goals in the final ten minutes in Weston’s entertaining 3 – 3 draw away to Dulwich Hamlet. Early on, winger Ben Swallow had a cross cut out and cleared as he looked to put Weston on the front foot, while Jarrad Welch had a 25-yard free-kick deflected out for a corner off of the three-man wall lined up in front of him. 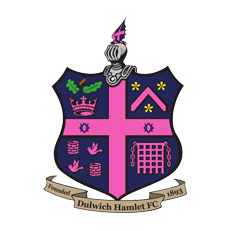 Just under ten minutes in, Dulwich took the lead when a long ball into the channel for Gavin Tomlin was latched upon by the forward. He looked across for striker partner Dominic Vose, and he hammered into the top corner from close range to put the hosts ahead. Vose again had a sight of goal not long after, but his strike from the edge of the area was just wide of the goal. Skipper Jacob Cane curled wide from 20 yards when given the opportunity to shoot by Dulwich’s defence. Alex Byrne curled way over the goal after Swallow had got in down the right and laid the ball back to the former Exeter man, with Gethyn Hill heading wide a driven George Nurse cross. 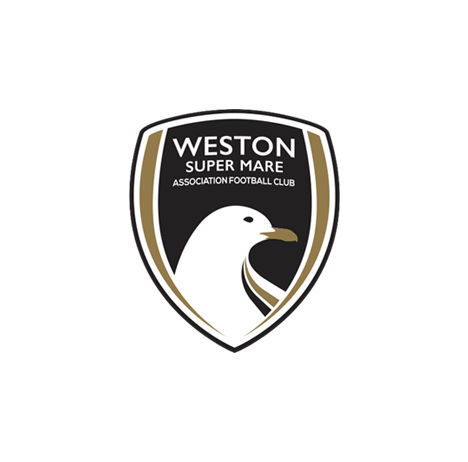 Weston made their pressure count when they found an equaliser. Starting from the back, Purnell’s pass out found Nurse near halfway. The loanee fed Naby Diallo with an excellent pass into the box, allowing the central midfielder time to look up and play across toward Hill. The Welshman controlled and fired in with his left foot to draw the tie level. 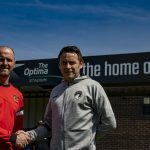 Welch’s brilliant 50-yard pass over the top found Swallow, who could charge towards goal however Quade Taylor’s excellent last-ditch challenge prevented the summer signing from getting a shot off. Nathan Green headed an Ashley Carew corner over the bar from close range, with Nathan Ferguson trying a speculative 30-yard volley which failed to trouble Purnell. Moments before half time, a Swallow cross was met by the head of Matt Bower, but Hamlet keeper Preston Edwards tipped over the bar with his fingertips. From the corner, Bower could only nod Byrne’s delivery wide of the goal with plenty of time. After the interval, Vose had a low daisycutter from the edge of the D held by Purnell. A minute later, Dulwich took the lead again when their attack was able to get forward easily. Purnell kept a first attempt out from Vose, before Tomlin’s driven shot from inside the area was cleared by Louis McGrory on the line but only as far as Ferguson, who fired through Purnell and into the back of the net for 2 – 1. A few minutes later, Dulwich got a third when Green could drive forward from left-back. With Weston’s midfield and defence parting easily, McGrory made a rash challenge to hand Dulwich a chance from the penalty spot. Carew stepped up to send Purnell the wrong way and put his team firmly in the driving seat. Cane drove wide from 20 yards after neat combination play by Byrne and Hill, with Nyren Clunis’ effort going inches wide from 20 yards after he could turn on the ball and drive at the Seagulls defence. With nothing to lose, Marc McGregor opted to bring Jamie Lucas and Tom Llewellyn into the fray, with one of his gambles soon paying off. Diallo was cleaned out inside the area as he tried to wriggle his way through, and despite Edwards going the right way, Lucas kept his effort from 12 yards hard and low to bring Weston back into the tie. Weston began to chuck the kitchen sink at Dulwich, and it soon paid off minutes after the second when a ball found McGrory inside the box. He squared to Lucas, and the striker slammed home for his fourth goal of the season from close range to draw the visitors level. 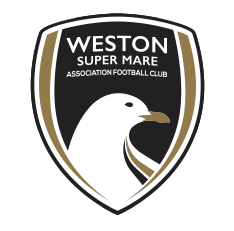 Holding on to the end, Weston valiantly kept the scores level until the referee blew for time, leaving Weston unbeaten in their last three league games. Weston XI: Purnell, McGrory, Bower, Cane (C), Nurse, Pope, Swallow, Diallo, Hill (Lucas 71), Welch (Llewellyn 77), Byrne. Unused subs: Phipps, Morris-Edwards, Thomas-Barker. MOTM: Naby Diallo – In a commanding performance in central midfield, the experienced midfielder was everywhere across the pitch and grabbed for the assist for the first goal, as well as winning the penalty for the second.